Fee includes same-day admission to the Main Building and The Cloisters museum and gardens. There is no extra charge for entrance to exhibitions. To help cover the costs of exhibitions, we ask that you please pay the full recommended amount. Saturday evenings are made possible by the William H. Kearns Foundation. *Galleries are cleared fifteen minutes before closing. New York is filled with so much culture. 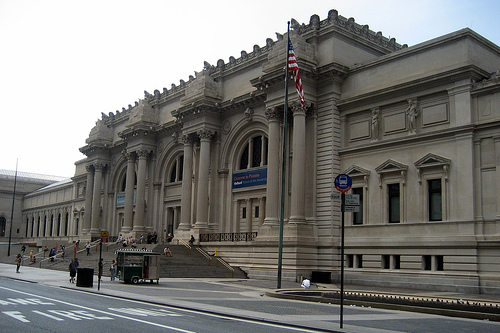 The Metropolitan Museum of Art is just one aspect of that culture. There are people of all ages and types in New York city which is one reason I find the Met so alluring. 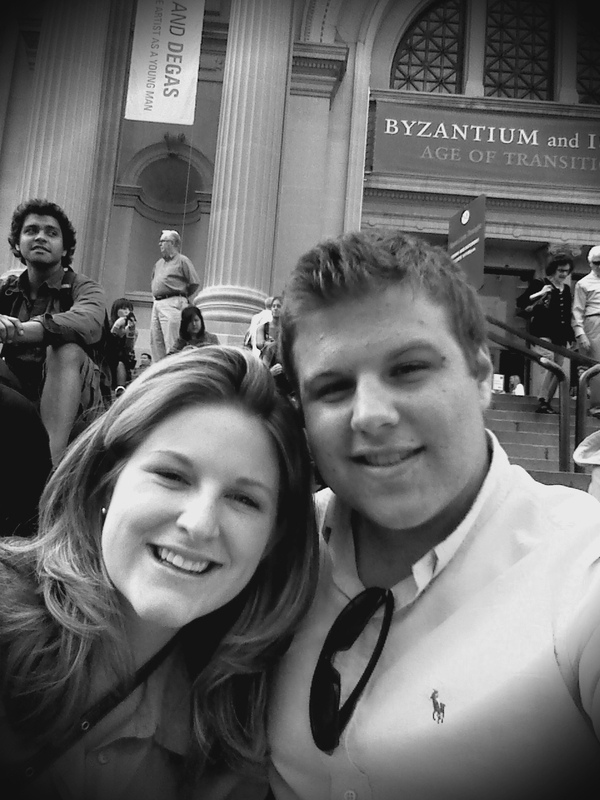 The metropolitan museum of Art is HUGE! The museum is filled with grandhalls which really is an ideal setting for viewing of sculpture. I love that on any giving day traveling through the halls you will see numerous people sketching the sculptures and viewing their surroundings. There is such a relaxed feeling that comes along with the Met which can be hard to find in New York. The employees there are helpful but for the most part I would say they have very little to do with your overall experience. The museum is idea for all ages and there are a good variety of exhibits there for your viewing pleasure. My favorite part of the museum are the grand steps out front. On any given day you will find a band, or a group of singers outside the steps. There are usually many food carts out side even if you do not have to visit a museum it may be a nice place to have lunch on a sunny day.